This wonderful 3 bedroom Kiawah Island oceanfront vacation rental, located at 4320 Windswept Villa, offers over 180 degree views of Kiawah Island's pristine beach. The fully stocked kitchen features a breakfast bar area with 6 bar stools. The granite countertops, beautiful custom cabinets, and stainless steel and black appliances are sure to make any time spent in the kitchen enjoyable. Off of the kitchen is a sliding glass door that opens up to a deck that has a high table and 4 Adirondack style high chairs and is perfect for eating outside with family and friends. The master bedroom has a king-size bed, flat screen TV, a chair and ottoman in the corner with a reading light. Enjoy the sunrise views and ocean breezes from your own private balcony. 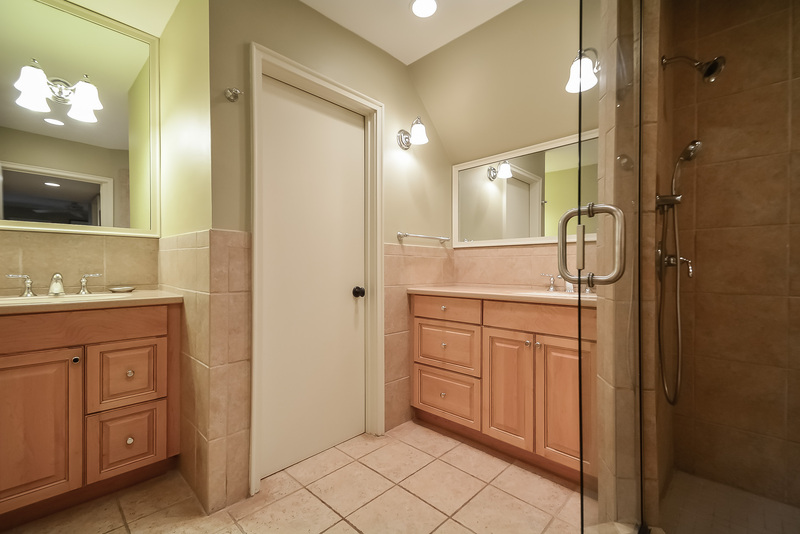 The master bathroom has tile floors, 2 separate sink areas, and a large walk-in shower with 2 shower heads. Down the main hallway are two oceanfront bedrooms with access to the long oceanfront deck. The first room has 2 twin beds and a TV with a DVD player for entertainment, and the bathroom offers tile floors and a shower/tub combo. The second bedroom has a queen bed and a TV, and the bathroom offers tile floors and a shower. This villa comes with a washer and dryer and wireless high-speed internet access for our guests. We had a wonderful stay at Windswept Villa. Beautiful decks and views. Great location. Clean. Nice Kitchen. Easy walk to the beach. Just a great place. Wonderful getaway. All went as expected. This villa had the best views, an ocean view from every room. The multiple desks were also great. The location was excellent. The villa was steps from the elevator, and very close to the boardwalk. Great condo with 3 amazing decks looking right out on the ocean. Accommodations were great. Working with Akers Ellis was wonderful. We’ve been coming out to Kiawah for the past 15 years ...this was by far the nicest place we have stayed. Lovely place and plenty of space. We had a wonderful time once again in Kiawah. The condo was spacious and clean. Loved the attention to detail to make our stay comfortable. Would highly recommend to any family. Three super decks make this property ideal for sunning, eating, watching the Dolphins, and reading. An elevator makes it easy to load and unload your stuff. Unfortunately we had several days of clouds and rain but that forced us to go explore the local area. We recommend the dolphin watching tour scheduled through the Kiawah Nature Center, and a tour of the Charleston Tea Plantation. In warmer months it would be nice for this rental to include passes to the community pool. Would recommend for families or even for 3 couples. Beds were super comfortable too! We were very satisfied with both the rental unit and the services as an agency. Akers Ellis was one of the best with which I have done business -- I especially enjoyed your app, which was very convenient and helpful. Thanks for a pleasant rental experience! We were traveling with my elderly parents who have some mobility issues. Two key features we were looking for were an elevator and a step in shower. This was a great villa for us. There are a few steps at the location and at the boardwalk, but my parents were still able to access the beach easily enough that they went to the beach daily. The three decks provided plenty of seating and wonderful ocean views. The villa was clean and comfortable, and the kitchen was well stocked. We've stayed here before and will stay again ... Great condo right on the beach with a good view. Perfectly quiet (stayed in December) which made it easy to enjoy a recharging getaway on Kiawah. Also, it's within walking distance of the Sanctuary (walk on the beach), so it's perfectly located on the island. Upon arriving to our condo, we were so very impressed! The views were amazing from most of the windows and the decks had wonderful furniture, lounger, rockers and high chairs with large table. Living room was so very comfortable, the kitchen had the tons of counter space. The televisions were a bit tricky to figure out, instructions on those would have been very helpful. Overall it was a beautiful condo, even built in stereo sound into the living room walls and master bedroom.. The only disappointment with this rental was the beds. Not only were they all uncomfortable (and we tried every bed hoping to find a comfortable one), the master bed was extremely noisey! With every turn one of us would make the wicker bed creaked loudly. About half of the nights one or the other of us would sleep in another spot, usually the couch. If the beds & mattresses would be replaced in this condo, it could be our forever condo. We've gone to Kiawah at least once a year for 12 years and never have we had a nicer condo, but never have we had such uncomfortable beds. Outstanding condo otherwise. Our family enjoyed the Windswept villa. It was very spacious and the views were awesome. We look forward to staying here again. The condo was terrific and we had a great time! Our girls week was extremely restful and we enjoyed the villa immensely; we each had our own room/space which is what we needed. We used the family room when we wanted together time and we each spent many restful moments (days) in our chosen bedroom. Normally we look at a different location for the next girls week, however, we believe that we have found a winner and will possibly choose this location again if it is just the three of us traveling again. We had a great holiday and we were very satisfied with the service. We give you a 5. We enjoyed our stay at Kiawah so much – we were amazed at just how well the owners of the condo had equipped everything. Really, not overlooking anything. Again, we were blown away with the beauty of the island and it was an awesome stay. Rate 5 will return. Thank you staff is very helpful! We had a wonderful time as always. Loved the layout and location of the unit. Your staff is always pleasant and eager to help, which is one reason I keep coming back. We hope to return next fall. We thoroughly enjoyed our time at 4320. Such a beautiful condo. We loved how each room had access to the outdoors. It was a fabulous place and we'd request that villa again in a heartbeat. We were very satisfied with the rental. The unit was incredible. We have stayed on Kiawah for 13 years. Our last minute planning truly allowed us to find a treasure! I appreciate everyone's help with this. I would rate our overall satisfaction a 4. However, I would rate the management team a 5 as everyone was extremely helpful and very timely with their responses. The villa was clean and comfortable and we enjoyed our time there. We would definitely consider renting this villa when we return to Kiawah in the future. I appreciate all of the help from the staff at Akers Ellis and look forward to working with you again in the future. Thanks for another great visit to Kiawah. We appreciate your help with the reservations as always! I would rate our experience a 5, and we hope to return later this summer. Very relaxing, clean and comfortable place. We absolutely LOVED our house! We definitely give it the highest mark. We had a fabulous visit and for our purposes the condo was truly a 5!! The best ! This is the third time we've rented a Kiawah condo w/ Akers Ellis in the past 2 years and all the experiences have been great. Really liked your online form- it was amazing. So wonderful that we didn't want to leave. 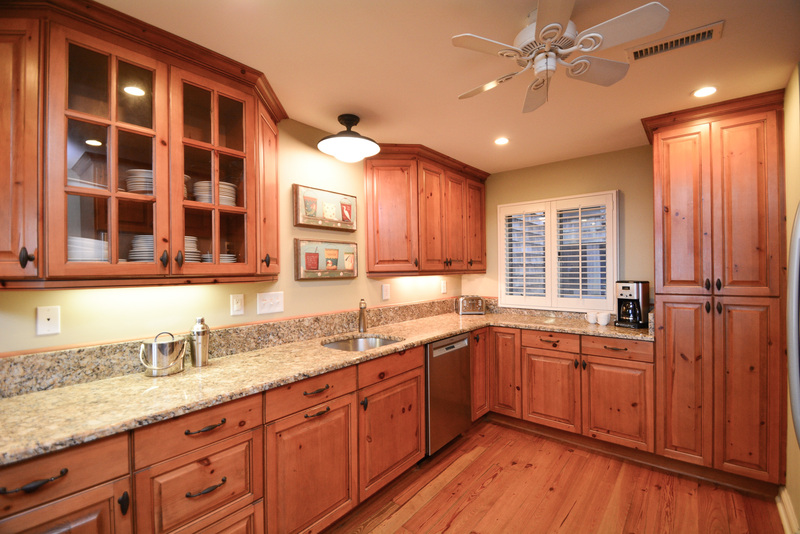 The unit was the cleanest of any property that we have rented in Kiawah. Looking forward to returning in the fall. Just have to see a great week, great rental, and a top notch property manager. Thanks Molly for making our stay at Kiawah very enjoyable and worry free! Highly recommend this unit and the views are remarkable. Thank you so much for your comments about this villa. We just love this ocean view villa and think it is wonderful and we are so glad to hear that you enjoyed everything. We look forward to having you back again for a return trip! We really enjoyed our stay at Windswept. The location and views were terrific and the unit was well-decorated with a great floorplan. When we did have a few issues, the management company was quick to respond. We would recommend this unit! Property was beautiful and very convenient to race venue. Would love to stay here again they have thought of everything. Enjoyed our third trip to Kiawah Island. Nice villa, beautiful ocean views. Wonderful week at a wonderful condo! The villa was perfect. Great layout. Fabulous view. So convenient to the beachwalk. Well stocked. We had an issue with the TV (operator issue!) but Akers sent someone right out to "fix" it. They were all so pleasant to deal with. Had a package delivered to them before our arrival and they made sure it was in the villa upon our arrival. I couldn't say enough wonderful things about the villas, Akers and the entire island. It was our first, but hopefully not our last, trip to Kiawah! Very happy with rental property. Many thanks for sharing your home with us. We can't wait to go back! This condo is so well done and has much more balcony space than shown in the pictures. We were originally booked at Shipwatch but there was a leak. We were so impressed by the way the Ellis' helped us rectify the situation. They moved us to a beautiful windswept condo. I realize the condo was cleaned quickly for us but that is the only negative we had. One of the bathrooms didn't look like the shower or toilet had been cleaned and there was visible dirt and paper under the master bed. The only reason you saw that is because the bed was high off the ground. Other than those things the condo was fabulous with great outdoor spaces and gorgeous views. We will definitely use Akers-Ellis again. We recently stayed in this unit for the third time. The views are beautiful and three decks provide outdoor space for various times of the day. The owners have thought of everything needed to start a vacation from coffee filters and paper towels to shampoo and soap. We like to pretend it's our own beach home! I would give the overall customer experience a 5. The prompt service to work with us given the unfortunate A/C circumstance was great. Moving our family was clearly an inconvenience but was handled professionally, promptly, and courteously. Best villa in 25 years of visiting Kiawah! We thoroughly enjoyed our week...a much needed break from 2-3 weeks of rain in Virginia! The Windswept villa (4320) was perhaps the nicest villa we're ever stayed in and that's saying something since we've been coming to Kiawah yearly since 1988! I really appreciate your non-check-in system upon arrival. For years we have had to wait at the offices of other rental companies to pick up keys. We much prefer your system with the coded key box at the door of the villa! Thank you for setting that up! Thank you for managing this superior villa and for great customer service. We were so pleased with our stay at 4320 Windswept. We would definitely give it a 5. We liked our Turtle Point location well enough all those years, for the 13 years we have been coming to Kiawah. But staying in 4320 WS has whetted our appetite for being right on the ocean. How can you beat that? The decks were a great asset even with cooler than usual temperatures. The owners have done such a nice job making the place feel very kept up while also having a very relaxed atmosphere. I can honestly say I haven’t had such a relaxing time in years, maybe decades! Our departing treat was watching from the deck as the red sun rose over the ocean. Sigh. Back home I’m looking out the window at several inches of snow, so I am about to upload all the Kiawah photos to give me alternative sights to boost my mood. Everything about the rental was smooth as silk. We are already planning/fantasizing return trips to 4320 Windswept. I give it a 5! We had a very nice stay. We would definitely use your company again. Thank you.